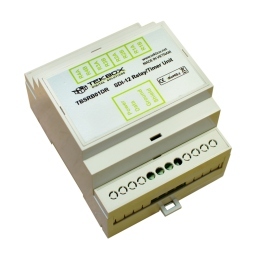 The TBSRB01 is a 4 channel relay board with SDI-12 interface. The board is equipped with Schrack latching relays to achieve very low power consumption for application in solar and battery powered systems. A short current pulse is sufficient to toggle the switching contacts of the relay. 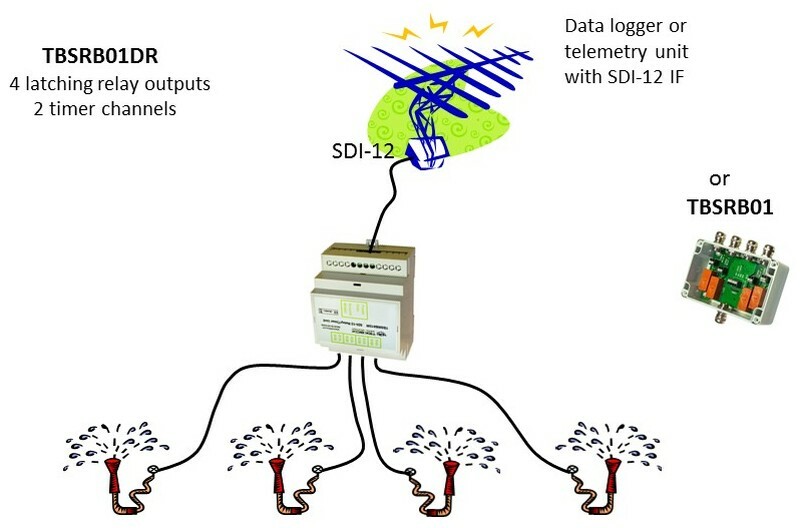 The switching contacts can be set and queried through SDI-12 commands. 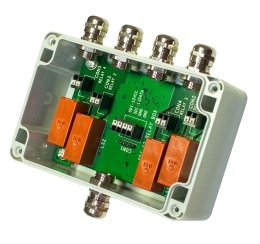 An on board RTC offers independent timer functionality for each channel. The relays can be switched independently or simultaneously.